I TOOK CIPRO FOR A MONTH FOR AN INFECTION I ENDED UP NOT HAVING. I'VE BEEN OFF THE CIPRO NOW FOR ABOUT THREE WEEKS. I'M NOT AS SEVERE AS SOME PEOPLE I READ ABOUT BUT VERY SCARED I'M GOING TO GET WORSE AND/OR NEVER BE THE SAME. MY EYES ARE PUFFY AND I HAVE DARK CIRCLES THAT I HAVE "NEVER" HAD BEFORE. I'M TIRED ALL THE TIME PHYSICALLY BUT HAVE A HARD TIME SLEEPING. I'M ACHY, DIZZY AND IN GENERAL JUST DON'T FEEL WELL. I HAVE STARTED TAKING EXTRA VITAMINS. CAN SOMEONE PLEASE TELL ME IF I WILL GET BETTER EVENTUALLY ??? ARE THE PUFFY EYES GOING TO GET BETTER ?? MY BODY ??? I'M VERY SCARED RIGHT NOW. Yes, you can get better from this. I hope that whatever you have done has made you feel better by the time that you read this. These side effects can go away on their own, but if they haven't by now, then you probably need some more help. 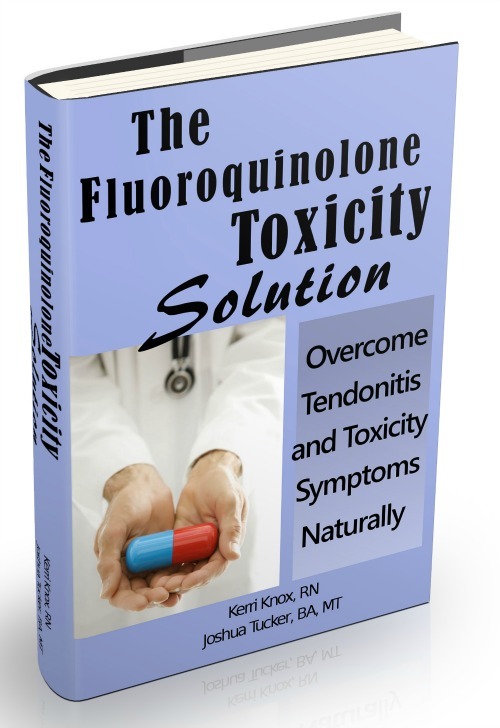 For your next step, then I would suggest that you get my book, The Fluoroquinolone Toxicity Solution and start using my protocol in order to start getting back on the right track again.